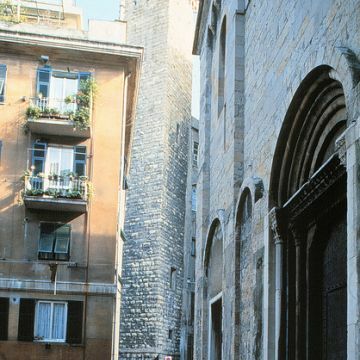 The starting point of this itinerary dedicated to the left bank of the historic centre of Genoa is Piazza Dante, where visitors can pass through Porta Soprana, one of the two medieval gates still standing in the city, built in 1155 to defend the sovereignty of the Republic against Frederick I Barbarossa. Just beneath the gate towers is another survivor: the exquisite Romanesque cloister of Sant'Andrea, originally belonging to a namesake convent that was later demolished. 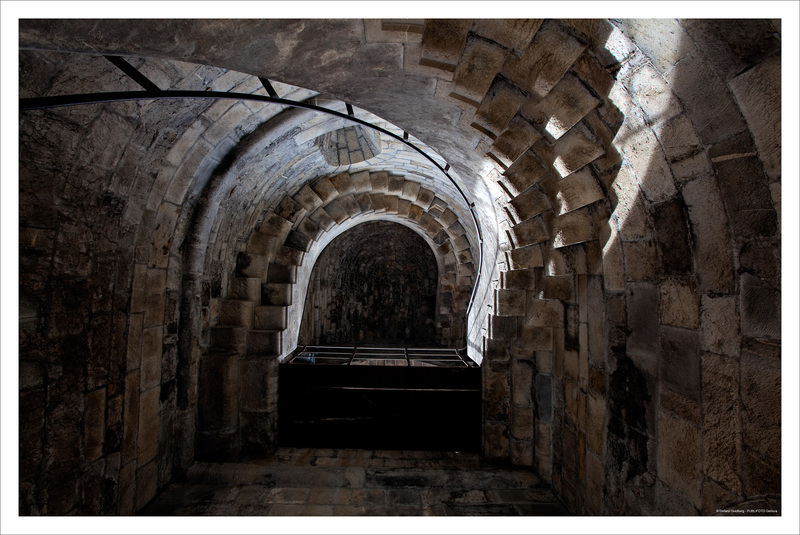 Not to be missed is the home of Christopher Columbus, or rather, the building constructed in the 17th century on the foundations of the house believed to be the birthplace of Christopher Columbus. 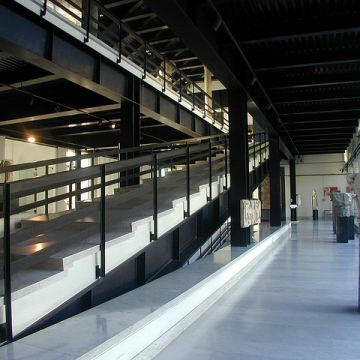 By proceeding down Via Ravecca, in a short time you'll reach Piazza Sarzano, home to the ancient monastery complex of Sant'Agostino that was destroyed by bombings and later completely restored. 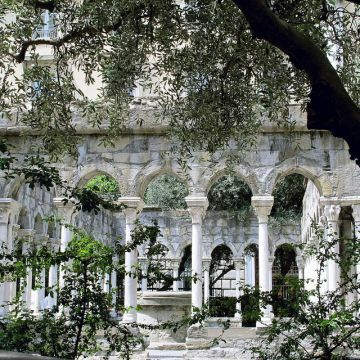 The monastery and cloisters currently house the Museo di Sant'Agostino, an extensive facility designed to preserve sculptures, stone artefacts, and masterpieces by Giovanni Pisano and Pierre Puget. By climbing up the hill from Piazza Sarzano to Piazza Carignano, you can visit the impressive basilica of Santa Maria Assunta, designed by Galeazzo Alessi. Alternatively, you can leave Piazza Sarzano by way of Vico Sotto le Murette to reach Campo Pisano where you can take in a truly scenic corner of the city. 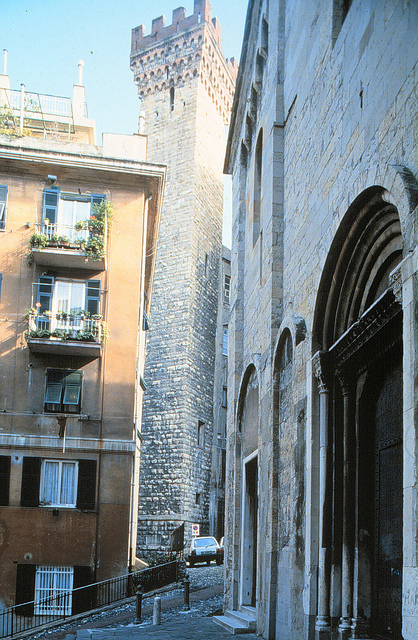 Built up in the 15th century, the area features Liguria's characteristic, tall, narrow houses in multicoloured plasters with a cobbled white and black marble pavement at their feet. 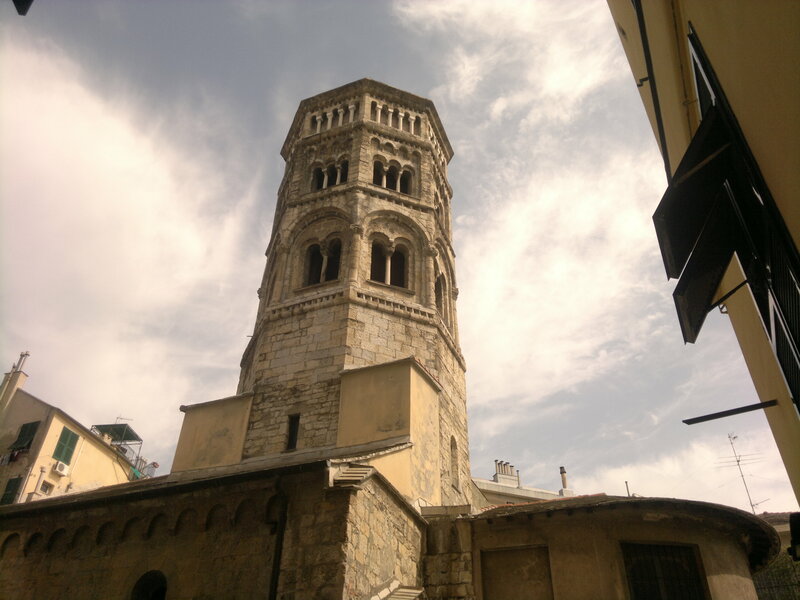 Upon proceeding down Via Mura delle Grazie and passing Piazza San Giacomo della Marina, you'll come to the vicinity of Santa Maria di Castello, one of the most evocative Romanesque churches in Genoa, built in the first quarter of the 12th century. In its loggia, you can admire the Annunciation by Giusto di Ravensburg. 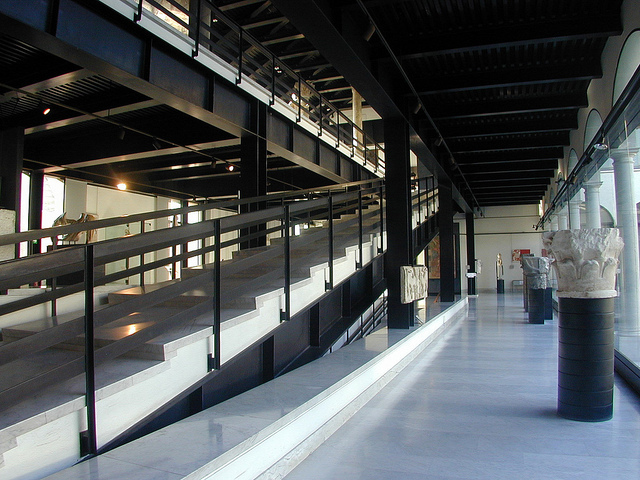 The area represents the centre of Castrum, that is, the first urban settlement of the city. 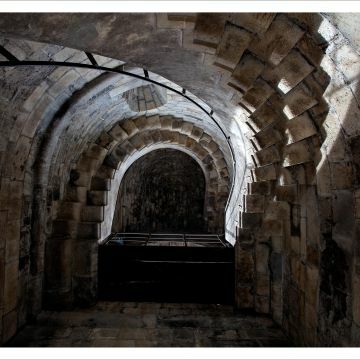 Climbing back up Salita Santa Maria di Castello, a stairway leads to Piazza Embriaci where the namesake medieval tower that belonged to the family of Guglielmo Embriaco, the hero of the crusades, stands to this day. 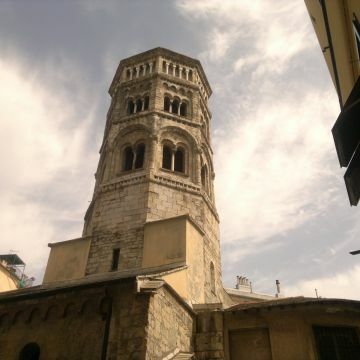 Walking down Via San Bernardo, you'll come to the thousand-year-old church of San Donato, dominated by its beautiful octagonal Romanesque tower. Within, it preserves prized masterpieces like the triptych by Joos van Cleeve depicting The Adoration of the Magi, and the Madonna by Jean De Troy, known as the portrait of the soul.